I was so inspired by our Peter and The Wolf Small World Play idea, that I couldn’t wait to share another! 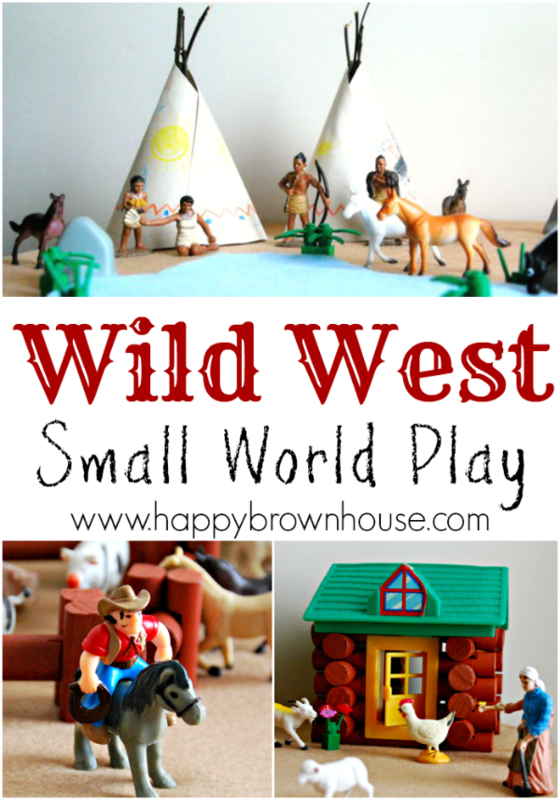 With just a few quick changes, we transformed our Peter and the Wolf Small World into a Wild West Small World Play complete with Cowboys and Indians for my little buckaroos to play with. The boys loved playing with this new little world. To start, I placed the large piece of tan felt on a table. 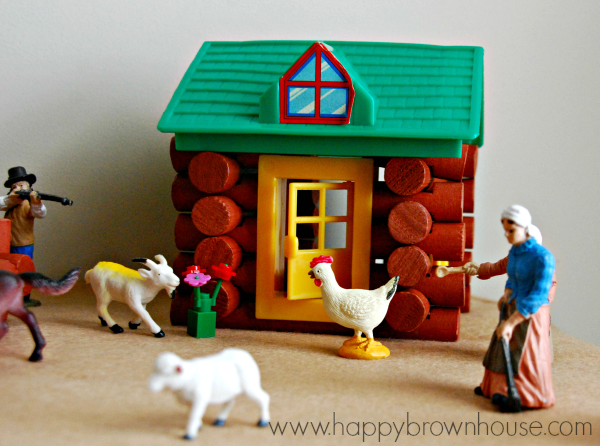 I carefully moved the log cabin made out of Lincoln Logs that my oldest made for our other small world. 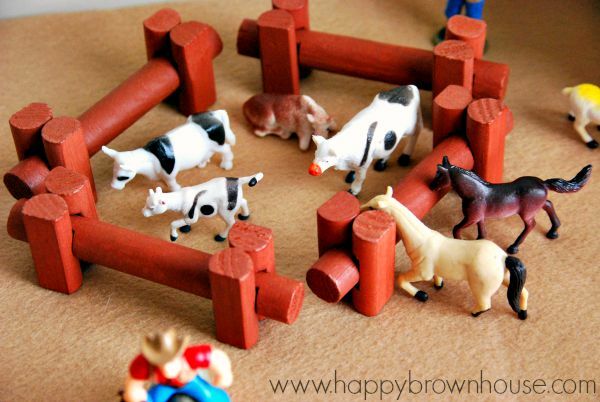 We also made a corral for the cowboys to place the animals in that they round up. Next, we added the paper teepees the kids made last year during our second grade curriculum on the table. These are simple to make–cut a circle in half, decorate, and wrap it around until it makes a cone shape. Then, if you’d like, glue some sticks at the top to look like the poles that hold the teepee up. 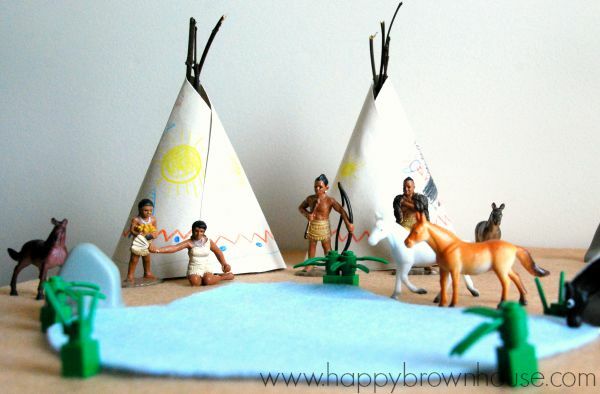 I placed the plastic Native Americans by the teepees and the watering hole. 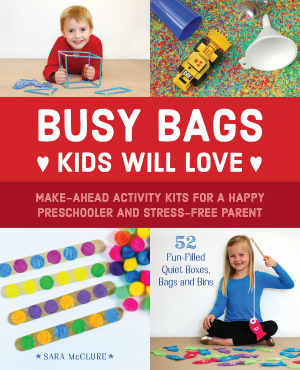 That’s it–now it’s time to play! 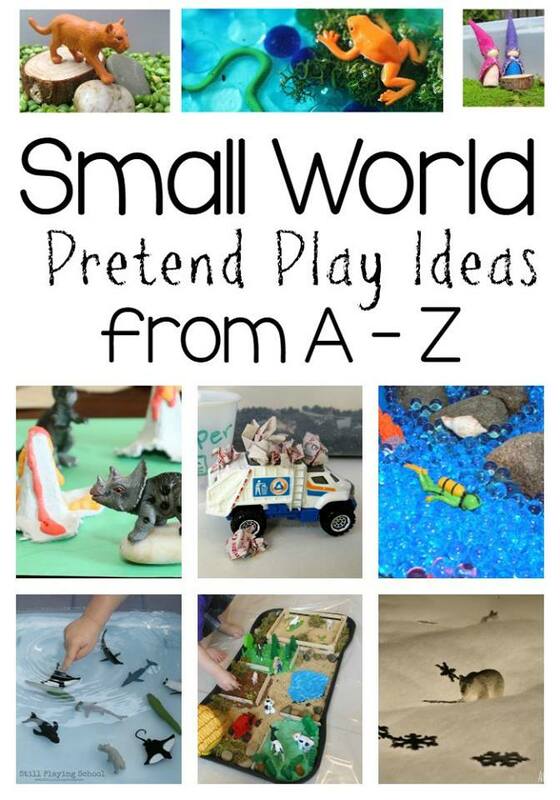 This post is part of the Small World Pretend Play Ideas from A to Z series hosted by Still Playing School. You can check out the other fabulous small world ideas by clicking the image below.